I absolutely love performing outdoor weddings – about 75 per cent of my high season wedding ceremonies are be held entirely in the open air. And yes, this is in Great Britain where our summer weather can often be a little unpredictable! As long as you have a good back-up “bad weather” plan then there’s no reason to discount an outdoor wedding – a few drops of rain or drizzle won’t harm anyone. Modern weather forecasting is pretty accurate now, and if for instance, a downpour is predicted at 2pm then why not consider moving your ceremony start time to ensure you say your vows before the deluge? A burst of British summer rain can often be quite refreshing and gone in an instant – the ground can be dry before you know it. Hand round umbrellas and it can be quite fun – the pictures look great too! There are so many wonderful outdoor places you can consider when you have a Celebrant-led wedding – you’re not restricted to a property with a civil licence (whether this is a room indoors or some permanent structure outside like a gazebo). 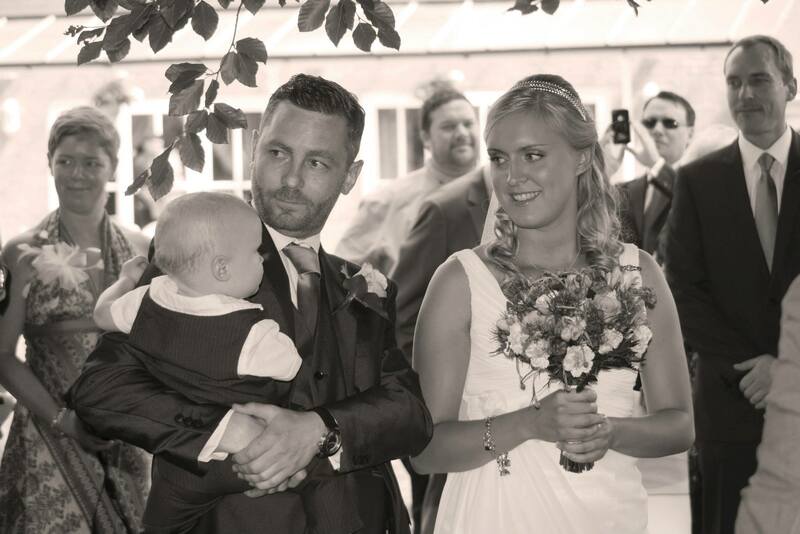 It really all boils down to personal choice and what sort of atmosphere you’d like for your big day. Taking a couple’s ideas and helping them have the wedding that they’ve always wanted is the best job ever for me. An outdoor wedding needn’t be all rustic and DIY though, they can look very stylish indeed as at The House Meadow seen above. If you’re planning an outdoor wedding, there are lots of alternative wedding venues open to you – why follow the herd? And don’t worry about the weather! Happy planning! 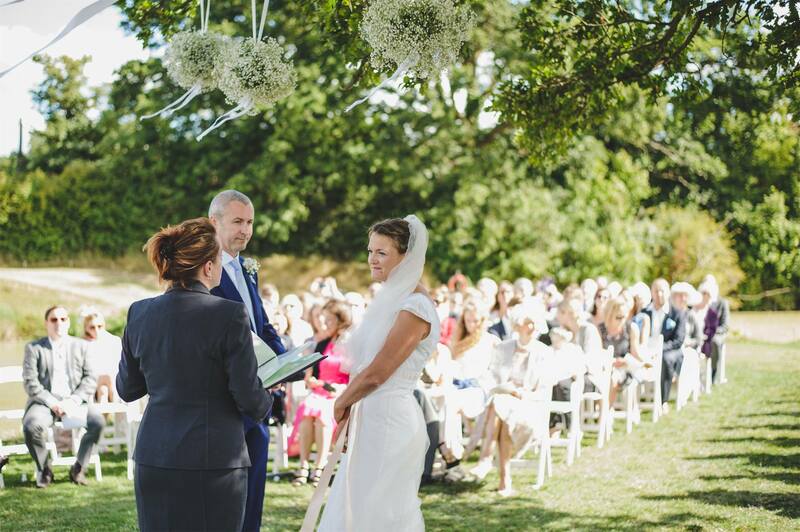 Katie Keen – Independent Celebrant at True Blue Ceremonies. This entry was posted in Uncategorized and tagged alternative wedding venues, back up plan, bar, British Summer;, celebrant, Celebrant led wedding, ceremony, ceremony script, civil licence, DIY, Independent Celebrant, Katie Keen, Kent wedding venues, marquee, open air, outdoor wedding, outdoor wedding venues, outdoor weddings, personal choice, refreshing, rustic, stylish, summer rain, sunshine, The House Meadow, tipi reception, tipi wedding, True Blue Ceremonies, umbrellas, weather forecasting, wedding ceremony, wedding day, wet weather plan, Wilderness Wood, woodland, woodland wedding. Bookmark the permalink.